We watched the X-Men: Days of Future Past movie over the weekend. Good movie!!! And maybe a review post here in menardconnect.com will be a good idea for a future article. But since I don’t have the luxury of time to do a full movie review today, I will just share 2 cool videos related to X-Men Days of Future Past. The two video clips below are from the X-Men TV Series (yup! the good old original cartoon series) that was a hit in the 90’s. 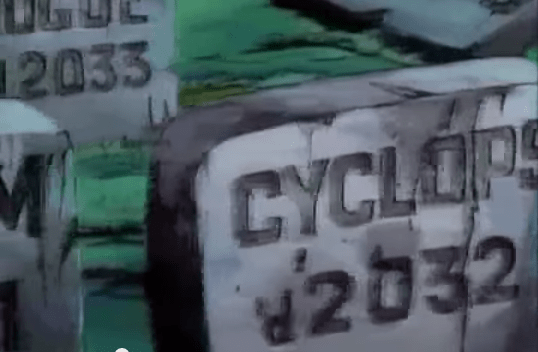 I’m an avid and “senti” fan so I really cannot forget the 5:36 scene showing the tombstone of Cyclops, Rogue, Storm and Jubilee. I will leave the spot the difference and other commentaries to other Marvel and X-Men fans out there. Going back to the X-Men Days of Future Past movie, as per Marvel cinematic tradition this movie have the after-credits scene. So when you are watching the X-Men Days of Future Past movie, don’t leave right away, wait for the after credits scene OK? I initially did not understand who that dude was in the after credits scene, but thanks to our in-house Marvel guru (Spiderham) he reminded me on who he was. Spiderham said his four companions was supposedly the giveaway clue. So spoiler alert: the after credits-scene dude = Mr. A (and his 4 Henchmen). Decipher it and like/share/retweet/+1 this post in FB, twitter and google+ ok? I hope you liked the video clips of X-Men Days of Future Past and liked this blog post too!